I just returned from 10 days of camping at Tawas Point State Park. It was a great vacation with my family! 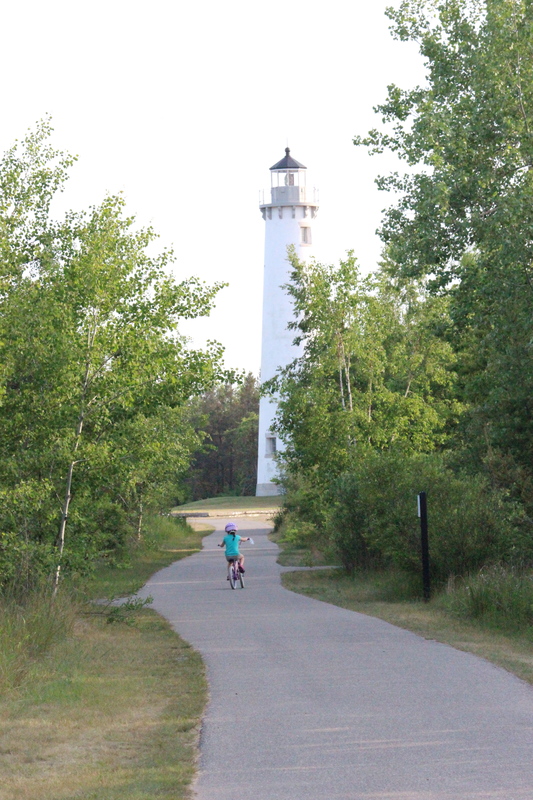 If you have been to Tawas Point State Park, you know what a little slice of Heaven looks like…and if you haven’t been there, you really should check it out. The campground is really nice and we had a great site that was frequented by many pairs of Orioles and many other beautiful song birds. The Lighthouse is open for tours and there is a small gift shop where you can pick up a shirt or a great picture frame by Michigan in Metal. Between the 2 playgrounds and all of the biking and swimming, the kiddos were exhausted each night. 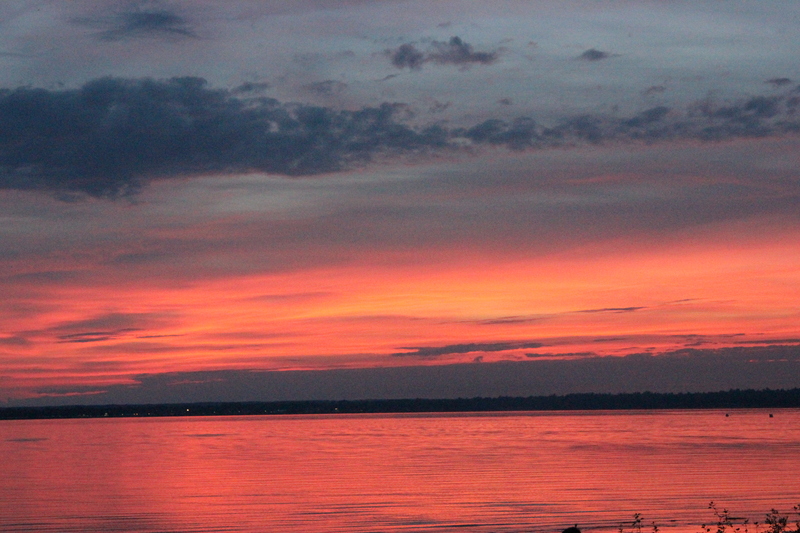 There are beautiful sunrises over Lake Huron or if you are not an early bird (like me), you can watch the sunset over Tawas Bay. The beach has beautiful sand and the lake is quite shallow along this part of the shore which makes for great swimming. 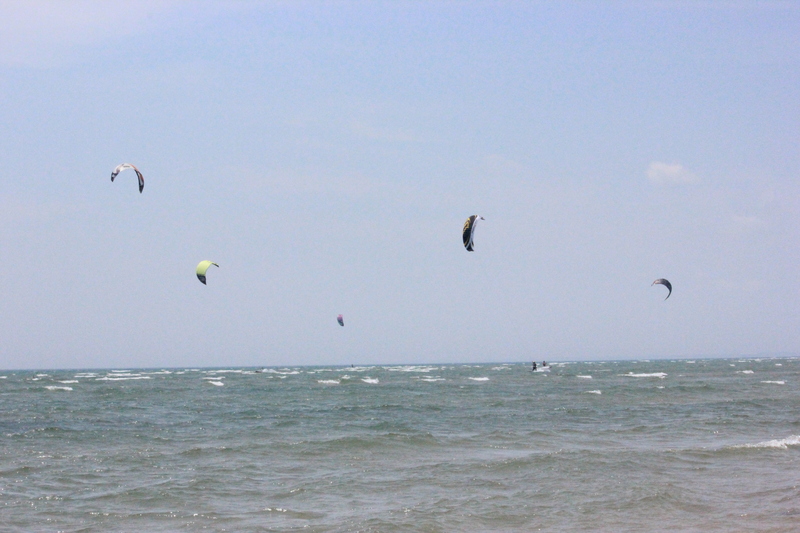 The wind on Tawas Point is great and lures many kiteboarders who are seeking wind to fill their kites. 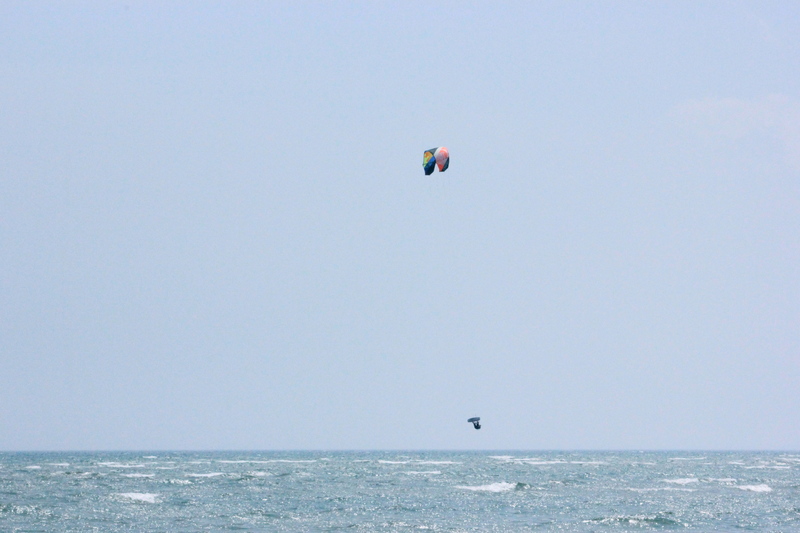 I got to meet Mark Kuban, the owner of Motor City Kiteboarding and watch him, my husband, and many others ride the wind and waves. These guys and gals are really entertaining to watch and are such a friendly group. And when you need a great meal and a friendly smile, just stop by to see Joe at The Tawas Beach Grill right there by the beach for great coneys and ribs! So, it was a great vacation and we are already counting the days until we can go back for more sun, sand, wind, and water.